As well as Bruisyard Hall, that sleeps up to 24 people, we can provide additional luxury accommodation at the nearby Lodge. Just 15 minutes away in Dennington, The Lodge has been recently refurbished to a high standard and boasts three double bedrooms, a drawing room, sitting room, a huge open plan kitchen, dining area and garden room. 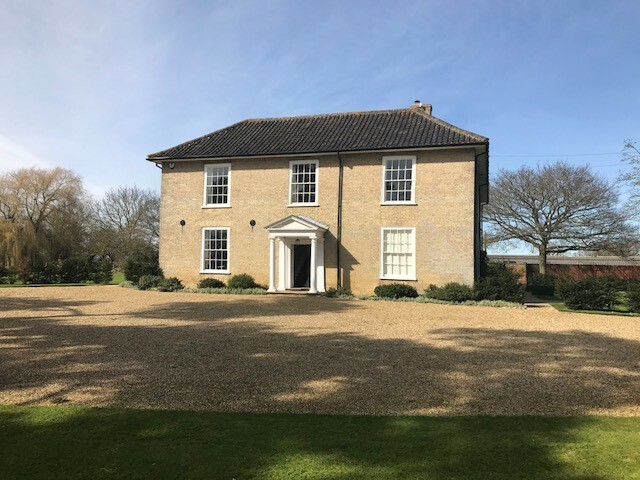 Set in the Suffolk countryside, with plenty of off-street parking and acres of beautiful grounds to relax in, this could provide the perfect additional base for family or friends attending your event at Bruisyard Hall. There is cable TV and wifi and plenty of space to relax.